Q.1 What does transfer mean? Generally “transfer” is movement between any two educational institutions. Here, however the term is specifically used to describe advancement from a community college to a university. Transfer means that you begin your bachelor’s degree at a community college and complete it at a university. Q.2 What is the difference between lower division and upper division courses? Lower division courses are offered for freshman and sophomore level credit. All courses offered at a community college are lower division courses. Upper division courses are offered for junior and senior level credit. These courses are not offered at community colleges. Q.4 What courses do I need to complete before I transfer? Ideally, you should complete the general education requirements and major preparation courses. Q.4b What courses do I need to meet minimum admission requirements? Minimum university course requirements vary by university system and/or institution. For Private/Out-of-State: Course requirements will vary from campus to campus. Q.5 How many units are needed to transfer? To transfer to a UC or CSU with junior level status, you must complete 60 transferable semester units prior to transferring from RHC. Generally, units must be completed an entire term prior to transferring. For private, out of state universities/colleges, you can transfer with 12-30 units minimum. Q.6 Is there a maximum number of units I can transfer? Specific regulations vary from college to college. However, the California State University and the University of California allow a maximum of 70 transferable semester units towards the degree. Units above the maximum will be given subject credit. However, all transferable courses are calculated into the transferable GPA for admission. Different limits may apply if you have already attended a “four-year” institution. You should meet with a counselor for more detail. Q.7 What if I take more than 70 transferable units? The 70-unit limit applies only to the number of units that will be counted toward graduation and does not apply to courses. The university will grant subject credit for course content needed to satisfy requirements for general education or major preparation, even if they do not count the units for all of your courses toward graduation. Q.8 What GPA do I need to transfer to a UC/CSU? The GPA necessary for admission can vary from year to year and depends on the campus, the major, and the applicant pool. The minimum GPA for admission eligibility to CSU is 2.0 (2.4 for California non-residents) in all transferable college units attempted. To be eligible for admission to UC the minimum GPA is 2.4 (2.8 for nonresidents) in transferable courses. Q.9 What is an impacted or selective major? Impacted or selective majors are those for which the university receives more applications for admission than the campus can accommodate. Impacted is also an official designation by the CSU system that allows the department that offers an impacted major to require a higher GPA or specific major preparation. Selective is a term used by the UC to describe majors for which the same conditions exist and for which the university imposes the same kind of selection criteria (GPA and major preparation) to screen for the most qualified applicants. Q.10 Do I need to declare a major before I transfer? It is required that you choose a major before transferring. In most cases you will be required to have major preparation coursework completed before you transfer, to ensure an easier transition to the university. Q.11 What is a Transfer Admission Guarantee? By participating in a Transfer Admission Guarantee (TAG) program, you will receive early review of your academic records, early admission notification and specific guidance about major preparation and general education coursework. A student who fulfills specific TAG program requirements and earns a specific GPA will have guaranteed admission to a university. Q.12 What is General Education (GE)? General Education courses are usually introductory in nature and provide you with fundamental knowledge in English, mathematics, the arts and humanities, social sciences, and physical and biological sciences. You will complete the majority of GE coursework needed to receive a bachelor’s degree while you are a student at a community college. After you transfer to a university, you may be required to take a few GE courses. The GE unit requirements of independent and out-of-state institutions vary, but the ration of lower division to upper division is similar. GE courses are divided into subject areas and GE patterns describe the number of courses that you must take in each subject area to meet total GE requirements. Each institution has its own GE (sometimes called breadth or core) pattern. There are also GE patterns that are accepted by the entire CSU and/or UC systems for transfer to any campus in that system. Q.13 What is IGETC? The Intersegmental General Education Transfer Curriculum (IGETC) is a general education program that California Community College transfer students can use to fulfill lower-division general education requirements at a California State University, University of California, and some California private universities, and out-of-state universities. Q.14 What is CSU GE Breadth? CSU GE Breadth is a general education pattern and is appropriate for students who intend to apply and transfer only to a California State University (CSU). 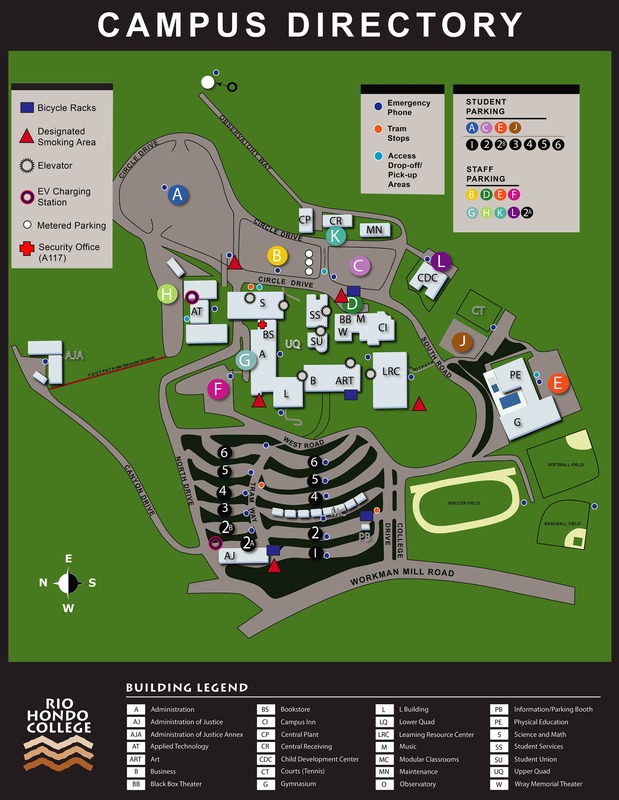 Q.15 Where can I find UC/CSU general education patterns for Rio Hondo College? Visit the Transfer Planning web page. For more information or clarification, consult with a counselor. Q.16 What is General Education Certification? GE Certification is verification that you have completed lower division general education requirements (CSU GE or IGETC). The certification is sent to the university to which you have been accepted and where you plan to enroll. The university will not hold you to any additional GE requirements with full certification. A request for certification form must be obtained and turned into the RHC Admissions and Records office towards the end of your last semester. Q.17 Which Rio Hondo College courses transfer to a university? To find out which courses are transferable visit ASSIST, check in the RHC catalog, meet with a counselor or University Representative. Q.19 What is an articulation agreement? Articulation is the process of developing a formal, written agreement that identifies a course or a group of courses offered on a “sending” campus that are comparable to, or acceptable in lieu of, specific course requirements at a “receiving” campus. Rio Hondo College articulation agreements with the California State University and University of California can be found on the ASSIST website (www.assist.org). For additional agreements with independent and private colleges as well as some out of state universities, students should make an appointment with a counselor. Q.20 Will my high school grades and SAT scores count when I transfer? The UC and CSU system do not require high school grades and test scores when a student transfers as a junior with a minimum of 60 transferable units. For private schools it will vary from campus to campus. Q.21 Do I need an Associate Degree to transfer? In general, no. Q.22 I have attended another college/university. Do these courses transfer to Rio Hondo College? It depends on the courses taken. A student who has attended another college/university prior to their start at RHC is recommended to make a counseling appointment to have coursework from other colleges evaluated and given an educational plan based on the student’s goal. Q.23 I have bad grades at another college. Do I have to report these grades to the university I plan to transfer to? Yes, you must report all colleges/universities attended on your admission application, including coursework completed from outside of U.S.
Q.24 I already have a bachelor’s, can I transfer and get another one? You must contact each campus to determine their policy on admitting students for a second Bachelor’s degree.